Once again, the handwritten letter makes the news. 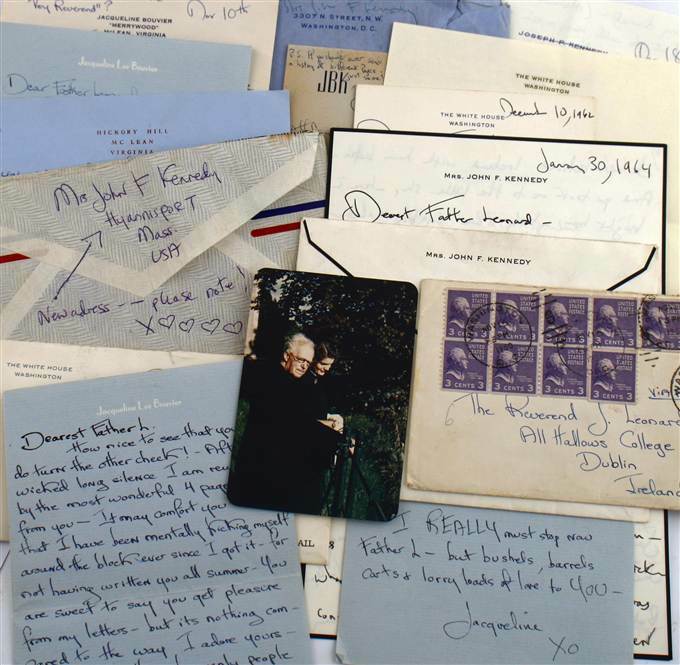 Last Friday, the media was all abuzz over a treasure trove of letters which Jackie Kennedy wrote to Father Joseph Leonard in Dublin. 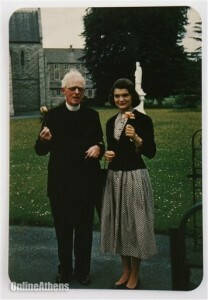 Simply, they were “pen friends.” He was her confidante and mentor, and Jackie poured out her heart to this elderly priest from 1950 till his death in 1964. These personal musings give us deep insight into the feelings of an extremely private and famous woman. Originally these letters were slated for the auction block. And it was estimated they would fetch 5 million dollars! Fortunately, it was decided not to sell them.